Hello and welcome to Episode 31 of The Teaching Space Podcast. It's Martine here. Thank you so much for joining me today. 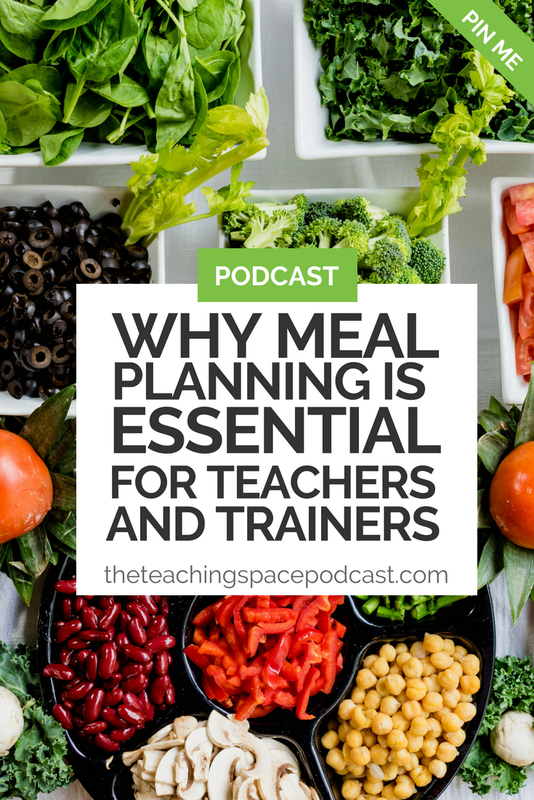 This episode explores why meal planning is absolutely essential for teachers and trainers. I know it sounds really random, but do stick with me. I'm recording this episode while I'm on my summer break and one of the many goals I'm trying to achieve during this time is to develop a meal planning routine. You're still wondering what this has got to do with teaching, aren't you? Well, the first thing that goes out the window when I'm busy and I've got a heavy teaching schedule is my eating. My meals aren't good and my health, ultimately, gets affected. If I'm busy, I'll end up popping to the supermarket on the way home and just picking up something quick and easy for dinner, rather than having a nutritious meal and this affects how much I sleep and, ultimately, how I perform in my day job as a teacher. So, that's the link that I'm making. As teachers, sometimes, we are so busy that we feel a little bit out of control and that's not something I'd comfortably admit in front of my students, but I'm sure you can relate. If we can just grab control over this one thing, this meal planning routine, then the knock-on effects are going to be really positive. I'm convinced that by nailing your meal planning, you can be pretty much better at everything, so I thought this would make quite an interesting podcast topic. I'm going to share with you my approach to meal planning in the hope that it will be helpful for you. I am going to say it's focused on dinner preparation and I need to also add that I don't have children, so I am only organizing myself and my husband, so I do appreciate things can change, the bigger your family is. However, I'm going to share what I do and, hopefully, it will be of some use. I have six suggestions in total, so we'll start with number one: pick a day. Pick a day to plan your meals. For me, this is a Sunday. And, also, pick a day to do your grocery shopping. This, for me, is a Monday. In the interest of forming a habit, ideally you will pick a specific time too and do this consistently. You also might want to consider a day in the week to replenish your fresh items, like milk and bread. So there's no planning needed here. It's just, on a Thursday, for example, you nip to the supermarket and get the bits that you need to get, kind of thing. Number two: use your calendar. Put these specific points in your week in your calendar. If after last week's episode, which was about Google Calendar, you are indeed a Google Calendar convert, I recommend you add a reminder. Add a new color code to these events in your Google Calendar as well. Obviously, paper calendars are absolutely fine. Maybe get your highlighter pen out, so you can see the reminder really easily. Number three: get your systems in place. This means your shopping list and your meal plan. For my shopping list, I use an app called Bring!. Bring! is a game changer. You can add your partner or family members to the list so they can contribute, as well. For example, if somebody uses the last toilet roll, it's their responsibility to add it to the Bring! app. This is fantastic. For my meal plan, I simply use Google Calendar and I alluded to this in last week's episode, which you'll find at theteachingspace.com/30. So, for example, we normally eat dinner around seven, eight o'clock, something like that, so I'll pop an appointment in the calendar and I will have a note of what the meal is going to be and, often, I'll have a link to the recipe, if it's an online recipe. If you're looking for a slightly more powerful meal planning and recipe manager type tool, then Paprika app is really worth a look. It is a paid app, but it's quite powerful and there's some great stuff going on there. Clearly, pen and paper work perfectly well. My preference would be those nice magnetic pads that you can attach to your fridge door. I'd have a separate for a shopping list and a separate one for weekly meal plans. Paperchase does some beautiful pads like this, so if you're in the UK, do pop to your local Paperchase and have a look or visit their website. Number four: identify your go-to meals. Have a selection of go-to recipes or meals and have them accessible, so if you do all your planning online, on your computer, maybe have a Google Drive with a list of your recipes and links and things like that. Rotate those go-to meals. You do not have to reinvent the wheel every time you produce dinner. 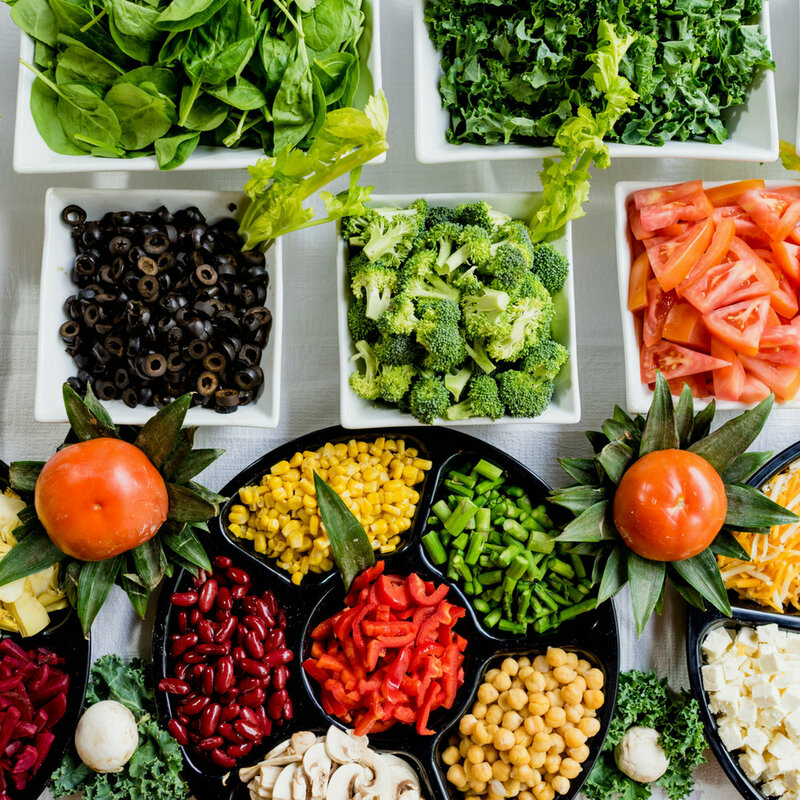 If you want to keep your repertoire fresh, then maybe challenge yourself to try one new meal or one new recipe a week and, if that's a success, it can become a go-to meal. Number five: consider batch cooking. When you're super busy, it's really helpful to have a stock of meals in your freezer. You can do this really easily by making a double quantity of things that are going to be okay in the freezer. Also, try to make things occasionally that you can turn into lots of other meals. A great example would be a chili because this can only be a chili, it could be a filling for a jacket potato, or you could make it into nachos, or something like that. Number six and this, to an extent, is the most important one: rinse, repeat, and review.By this, I mean try this for a week and then repeat and repeat and repeat, until it becomes a habit. Then, when things go wrong because they will, because we're all extremely busy people. We're teachers and trainers. We have so much to do. Review why things have gone wrong. Try to identify the triggers that have disrupted your system and then put measures in place to prevent them happening in the future. So, my most important point here is rinse, repeat, and review. That's what I do. That is how I am working on getting my meal planning nailed, so I feel much more organized in other aspects of my life. What do you do? Do you plan your meals or are you more of a kind of "fly by the seat of your pants" kind of teacher? I would really love to know. I'd also like to start some conversation around other aspects of home life that, perhaps, we can work together to systematize. I think this would be a great thing to talk about in our Facebook group, The Teaching Group Staff Room, so do hop over there and let's start some conversation. Right, I think that's it from me for this episode, Number 31. All that remains to be said is if you enjoyed this episode or any previous episode of The Teaching Space Podcast, then please consider leaving a positive iTunes review. I would be so very grateful. Thanks for tuning in. See you next time.